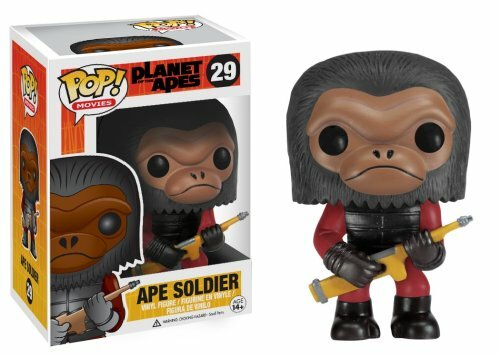 The grumpy ape soldiers from Planet of the Apes have been given the Pop! Vinyl figure treatment with the Planet of the Apes Ape Soldier Pop! Vinyl Figure! Standing 3 3/4-inches tall, the Ape Soldier Pop! Vinyl Figure finds the grunt worker of the ape society carrying a yellow gun in his red and black outfit, looking as intimidating and serious as ever. Add to your growing Pop! Vinyl collection at work with the Planet of the Apes Ape Soldier Pop! Vinyl Figure!Ages 14 and up. Günstige Preise, Meinungen und Bewertungen zu Pop Ape Soldier finden Sie bei preison.de online.